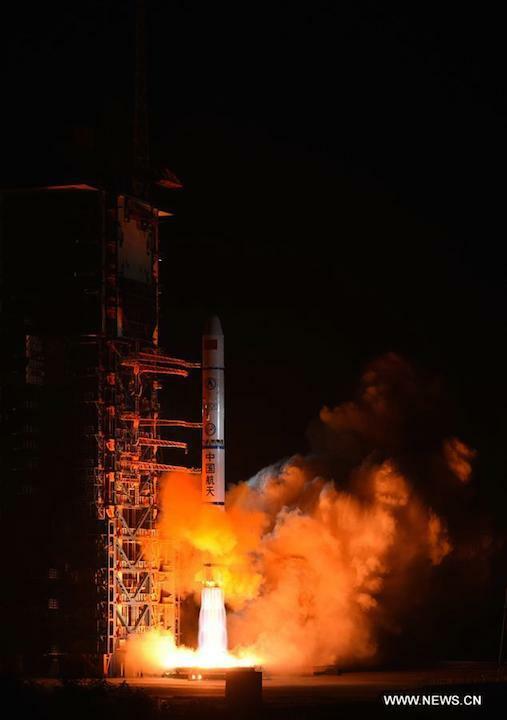 China continued its recent rapid pace of space launches on Friday with a Long March 2C rocket carrying a classified payload to low Earth orbit. The Long March 2C lifted off at 18:10 UTC (02:10 local time Saturday) from LC3 Launch Complex at the Xichang Satellite Launch Centre in the southwest province of Sichuan. Airspace restriction notices revealed that a launch was imminent, and a social media post citing noise from the vicinity revealed that the launch had taken place. Amateur footage was posted shortly after. The mission payload was not known in advance, but the resemblance of the launch profile to a September space launch suggested a further trio of Yaogan reconnaissance satellites. State media Xinhua confirmed launch success and the payloads to be a three Yaogan-3 (02) satellites within an hour of launch. The satellites were developed by the Microsatellite Innovation Institute under the Chinese Academy of Sciences (CAS). Described in Chinese media reports as remote sensing satellites for electromagnetic environment detection, western observers believe the Yaogan series to be for reconnaissance purposes for China's People's Liberation Army. The launch was the 14th for a year bifurcated by issues with two launches in June and July, and follows Monday's Long March 6 light-lift rocket launch. The mission involved three Jilin-1 commercial Earth observation satellites and marked a step forward in Chinese large constellation plans and launch vehicle reusability. Xichang Satellite Launch Centre has seen intense activity following a three-month halt in Chinese launches brought on by a Long March 3B partial failurein June and the following failure of the second heavy-lift Long March 5 launch vehicle in July. 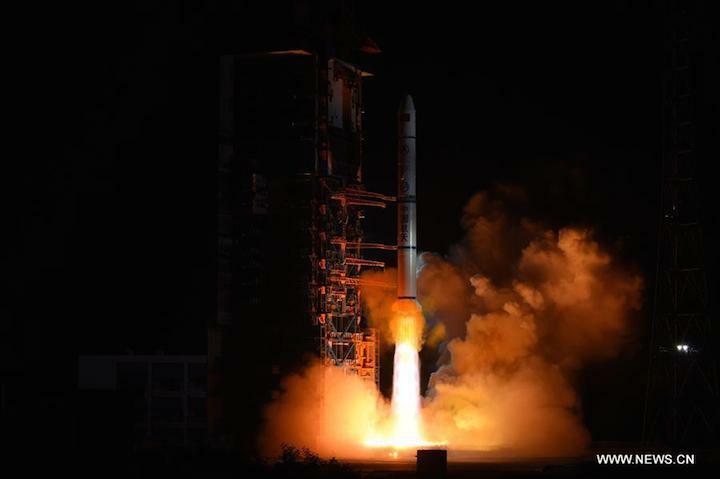 Late September saw the launch of a trio of Yaogan-30 (01) reconnaissance satellites followed by the launch of a pair of Beidou-3 satellites to medium Earth orbit early in November. Xichang is meanwhile preparing to follow up this by lofting another Beidou duo for the navigation and positioning constellation, similar to America's GPS and Russia's GLONASS, before the end of the year. The Long March 2C used for Friday's launch was developed by the China Academy of Launch Vehicle Technology (CALT), the country's foremost launch vehicle developer and manufacturer, and a subsidiary of the China Aerospace Science and Technology Corporation (CASC), the main contractor for the Chinese space programme. China had aimed to launch around 30 times in 2017 before the two above launch issues halted activity. The major success for China in 2017 has been the launch of its first cargo spacecraft, Tianzhou-1, which trialled three rendezvous and dockingprocedures followed by orbital refuelling tests with Tiangong-2. This marks a major milestone in plans for the country to establish its own large, modular space station. China's overall for Long March rocket launches stands at 256, with the first taking place on April 24, 1970. Of these, 242 have been successful, with eight failures and six partial failures, bringing a success rate of 94.5 percent. The Long March 7 (Y2) launches China's first cargo spacecraft, Tianzhou-1, in April 2017. Looking to the future, CASC officials this month unveiled a comprehensive space transportation roadmap for 2017-2045, noting plans for fully reusable rockets, sub-orbital and orbital space planes, a super heavy-lift launcher and a nuclear powered shuttle. 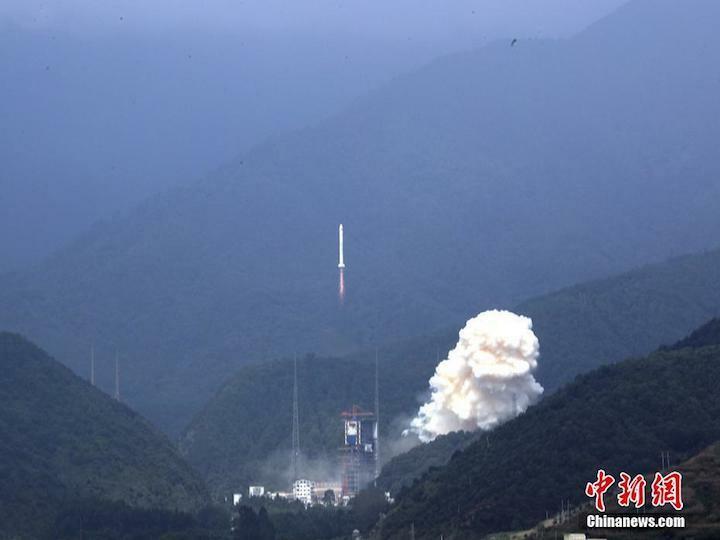 BEIJING, Nov. 25 China launched remote sensing satellites at 2:10 am, Beijing Time, Saturday on a Long March-2C rocket from Xichang Satellite Launch Center in southwest China's Sichuan Province. The satellites has entered the preset orbit and Saturday's launching mission was proclaimed a success. The satellites will conduct electromagnetic probes and other experiments. The launch is the 256th mission of the Long March rocket family. China launches remote sensing satellites at 2:10 am, Beijing Time, on a Long March-2C rocket from Xichang Satellite Launch Center in southwest China's Sichuan Province, on Nov. 25, 2017. The satellites has entered the preset orbit and Saturday's launching mission was proclaimed a success.